Matthias and Repik are Back; Sweetland Sent to the Everblades · Let's Go Amerks! 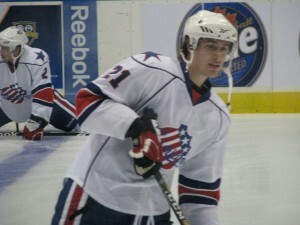 The Florida Panthers sent Shawn Matthias and Michal Repik back to the Amerks. Matthias has been with the Panthers since November 28th and played in 10 games tallying one point. He got a decent amount of time on the ice averaging about 12 minutes per game. Matthias has struggled with the Amerks this season so hopefully the chance he had to fill in with the Panthers along with the Amerks being back to doing well gives the kid a boost of confidence to really show us what he’s made of. Repik was originally called up on December 6th and scored his first professional goal in his first game with the Panthers. That was his only point while being called up, he averaged about 8 minutes of ice time. He’s also the leader in points with the Amerks. 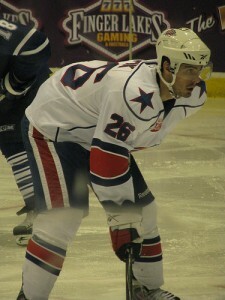 As they arrived back in town Andrew Sweetland left town heading to the Florida Everblades. In 21 games with the Amerks he has struggled and only managed to get one assist. He’s a fast skater with decent hands, but just did not seem to have enough talent to keep in the AHL at this time.